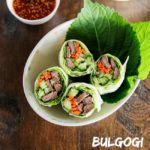 Bulgogi spring rolls with sweet ssamjang sauce is a delicious Korean and Southeast Asian fusion dish created with popular Korean BBQ beef bulgogi. It’s light, fresh, and moreish! 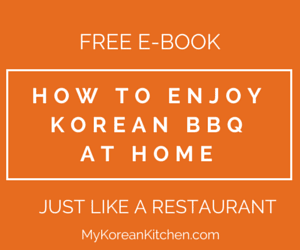 I love Bulgogi (Korean BBQ Beef) and I know how much you love it too. The slightly salty, sweet and savoury flavour is hard to resist! In the past, I have shared Bulgogi Pizza, Bulgogi Rice Burger, Bulgogi Taco and Bulgogi Kimbap recipes, so I urge you to check them out if you haven’t already. Because you are missing out on something great! Today, I’m sharing another creative way to enjoy Bulgogi using rice paper wrappers. 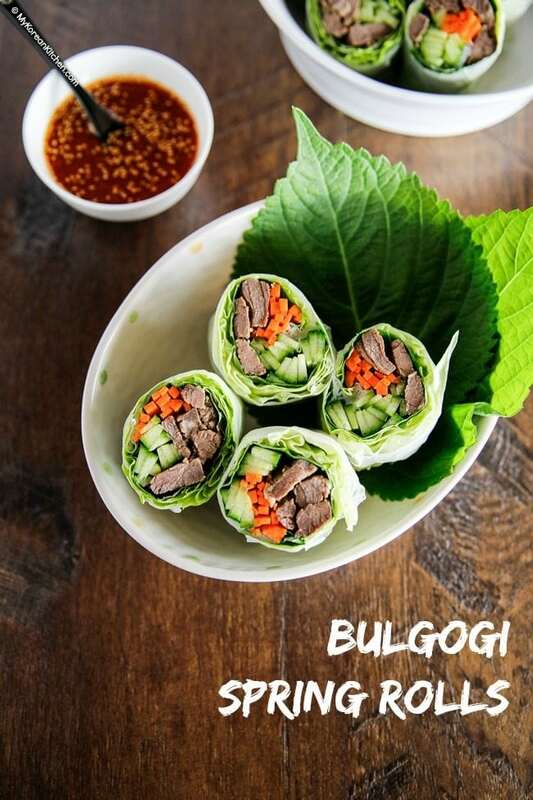 I would call it Bulgogi spring rolls, but you could call it Bulgogi salad rolls or Bulgogi summer rolls, whichever appeals to you more. Deliciously marinated Bulgogi is briefly cooked over a stove (you can use an outdoor BBQ grill if you want!) then served on prepared rice paper, lettuce, Korean perilla leaves, cucumber and carrots. These give a really nice crunchy texture as well as giving a balanced meal option. While Bulgogi spring rolls themselves are pretty great on their own, they taste even better when they are served with sweet ssamjang sauce. If you are familiar with Korean BBQ, you have probably heard of Ssamjang. It’s a spicy Korean dipping sauce that’s used for dipping BBQ meat. Though regular Ssamjang sauce won’t go well with these spring rolls as they are a bit too thick and may overpower the taste. So I diluted it a bit so that you can enjoy it with these delicious rolls. I think pairing the rolls with the sweet ssamjang is a must try because I think they are an awesome combination. It may grow on you! I hope you enjoy my recipe. 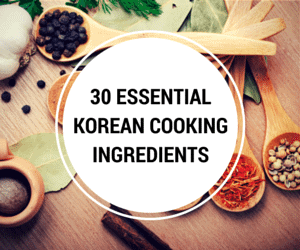 ** If you want to learn more about Korean cooking ingredients, check my essential Korean cooking ingredients list! On medium-high heat, cook the marinated Bulgogi meat in a skillet. Place all the prepared ingredients on the table/kitchen bench and get ready for rolling. Put some warm water in a large bowl and soak a sheet of rice paper in it until it softens (5 to 10 secs). Be careful not to tear the rice paper by over softening. 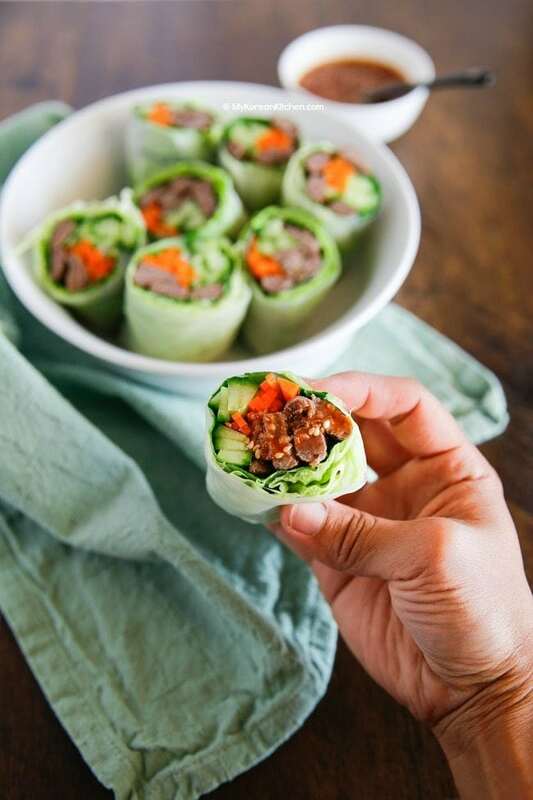 Transfer the rice paper onto a board and place the lettuce leaves (2 per roll), perilla leaf (1 per roll), Bulgogi, cucumber and carrot on top. Bring the bottom edge of the rice paper tightly over the filling and roll once. Close in both sides of the rice paper then continue to roll from bottom to top until the top of the rice paper is reached. Repeat with the remaining rice paper sheets and fillings. (You may slice the rolls into half to present it nicely.) Serve the rolls with the sweet ssamjang sauce. The spring rolls can be made with pork or chicken. Also if you want, you can make it using spicy pork bulgogi. Put some warm water in a large bowl and soak a rice paper sheet in it until it softens (5 to 10 secs). Be careful not to tear the rice paper by over softening. 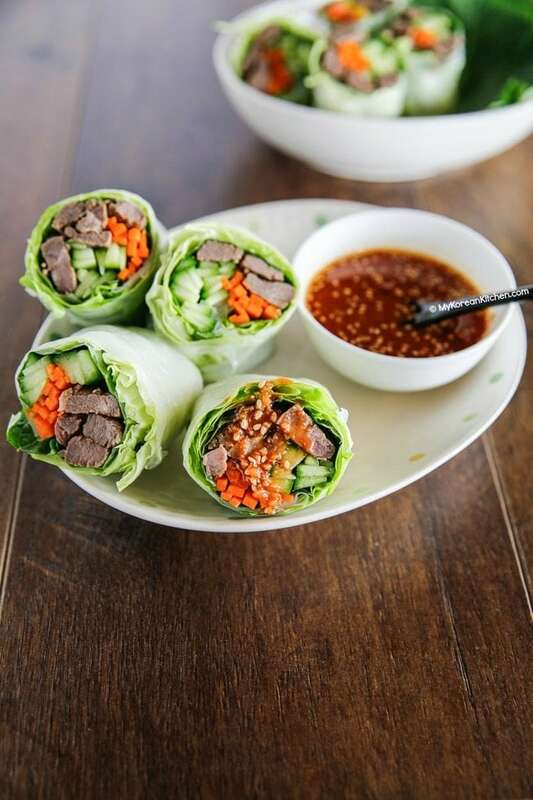 Transfer the rice paper onto a board and place the lettuce leaves (2 per roll), perilla leaf (1 per roll), Bulgogi, cucumber and carrot on top. Bring the bottom edge of the rice paper tightly over the filling and roll once. Close in both sides of the rice paper then continue to roll from bottom to top until the top of the rice paper is reached. Repeat with the remaining rice paper sheets and fillings. Hi ya, congratulations on such a great recipe. It was such a hit!!! I will try many more. thx for uploading great info! Congrats, you made me drool on my shirt. Food chat on IRC led to Bulgogi, which led to Google, which led to image search, which led to this page. Good lord, that looks good. Site bookmarked, plans to lose weight abandoned. I don’t know where you live, but you should be able to buy it at a local supermarket or Chinese grocery shop. 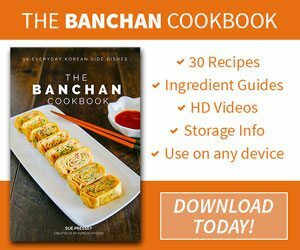 How can i buy or order the ricepaper and where? Thanks Sue for this great idea. I made my rolls with spicy pork, perilla leaves, cucumber, carrots, and micro-greens/sprouts. I sent these off with my husband for work and he called me in the middle of the afternoon raving about it. This recipe is a definite keeper in our house. Yoo, they are called Ggaennip(깻잎) in Korean. Hi sue, What is the korean name for perilla leaves? Wow, you take some really nice pictures of food. Too bad I can’t become a good cook by just reading…I actually have to cook something. The first time I tried this(wollam sam is the general word? )was with my wife and her Korean friends in Melbourne. They had Koreanised it,so the chicken had been fried in a gochujang sauce.We had it with pineapple,tomatoe,cucumber,sliced egg-roll and carrot. We still make it sometimes in Korea though we try to make it more SE Asian.Difficult to find coriander though. Kat, try it and tell me how you think! JG, I know! it is very simple to make but it tastes so good. It is very morish. Mary, Ha! I didn’t quite finish eating the Bulgogi, however I did eat some while I was making some wraps. It is just irresistible! Such a good way to introduce people to sesame leaf! Sadly, I’d finish eating the bulgogi before the rice paper even had a chance to sotften. 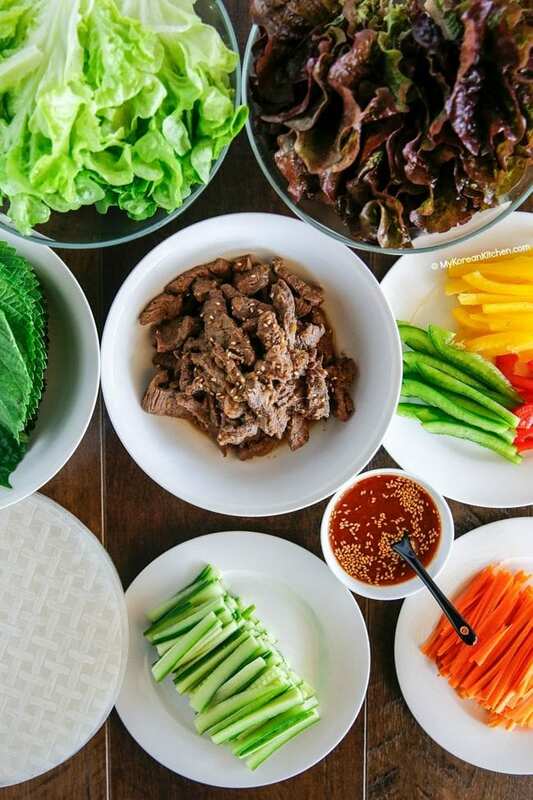 I recently made Spring Rolls with Dweji Bulgogi. We didn’t even need dipping sauce b/c the dweji bulgogi has so much flavor! I put dweji bulgogi, lettuce, rice noodles, and green bell peppers in mine. Very simple, but I think it tasted good.